The building boom of 2014 set records for new construction with a staggering 41 percent increase in permitting over the previous calendar year. With each new permit, demolition usually follows — forever closing the door on potentially adaptive reuse. Waking up to find a familiar landmark — or an architecturally viable or nostalgic and interesting old structure —suddenly gone is a way of life in Houston. This is a city searching for its own brand of sustainability even as it constantly changes. The good news here is that real sustainability — true adaptive reuse — is happening right now in the Heights. 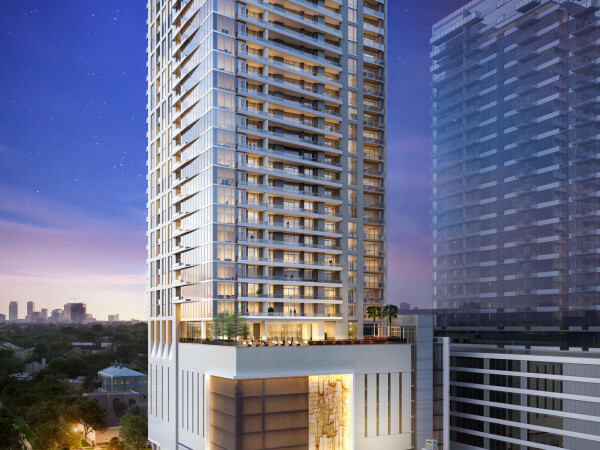 A 1950s building once serving the city as a Southwestern Bell switching station is now the centerpiece of a new exclusive gated enclave in the heart of the Heights. This vintage building is being repurposed into 24 unique modern lofts, surrounded by 20 custom, master-built traditional cottages. The property will be surrounded by its own private and beautifully landscaped green space and will also feature a breathtaking rooftop retreat. The two to three bedroom lofts are designed to balance the convenience of the lock-and-leave lifestyle with the luxury of a custom residence. Originally built in 1957, the three-story building at 18th and Ashland in the Heights went up for sale in 2012, igniting concerns that the high value of the property would make it a prime target for the neighborhood’s dreaded first mid- or high-rise development. Fortunately for the neighborhood, Houston-based custom home developer Rohe & Wright Builders purchased the property with sustainable adaptive reuse in mind. Embracing the building’s rich history, the project was duly named Bell Heights. Andy Suman and Chad Muir, managing partners of Röhe & Wright, formed their company in 1999 in response to the influx of uninspired cookie-cutter homes being built in the Inner Loop. As native Houstonians, they wanted to design and craft homes which also invested back into the community — not only with the exceptional quality of their construction but with timeless architectural appeal. They’ve already accomplished this with projects like Cáceres near Memorial Park and Cheyne Walk on Sunset Boulevard. 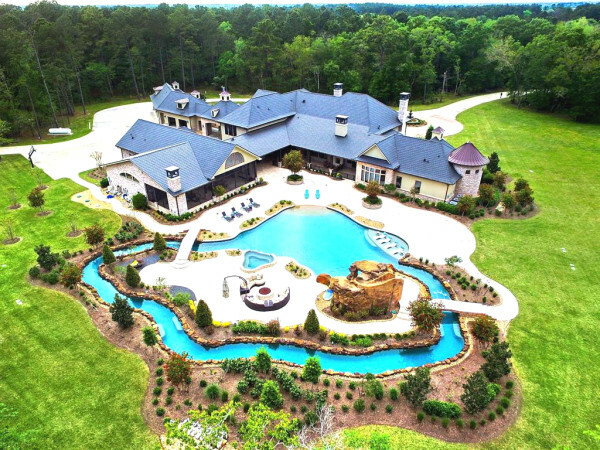 Their concept of gated luxury enclaves which combine exclusive levels of amenities with a worldly sense of community living is uncommon in American cities. When Suman and Muir came across the building at 1714 Ashland, they were determined to defy expectations by keeping the beautiful old building intact. Not only is the architecture supremely sound (built by the Bellows Company of San Jacinto Monument acclaim), the art deco influence is strongly visible through the sleek redesign of the exterior. The lofts range from 1,500 to over 4,000 square feet — each with a unique, single-floor plan and a private wrought-iron balcony. The two to three bedroom lofts are designed to balance the convenience of the lock-and-leave lifestyle with the luxury of a custom residence (porcelain tile, stone or hardwood floors, professional-grade Viking appliances, and much more). This sort of living is tailored toward the new Inner Loop homebuyer. As an added bonus, at this phase of the project, lucky loft owners still have the time to customize some selections as well. The three-story cottages have their own distinctive charm, but will share the Bell Heights amenities. These free-standing homes fully capture the quintessential Heights style, with an added emphasis on all the modern luxuries. At three to four bedrooms with 2,200 to almost 2,900 square feet of living space, and each with their own balcony and garage, the cottages offer privacy while still enjoying full access to the exclusive luxury features as the lofts. The cottages span the community in two sections — each with their own beautifully-landscaped green space, vehicle entrance and brick walkways. There are also water features, benches, swings, pergolas and shade trees galore. The idea is to provide an exclusive outdoor living experience that enhances the proximity to public outdoor spaces like the hike-and-bike trails, the boulevard, and some of the region’s best parks. The 10,000-plus square foot rooftop retreat above the lofts is an outdoor living space in itself. With skyline views of the city, a kitchen, arbor, spa and several seating areas — including a firepit lounge — the rooftop is available to all Bell Heights residents for year-round entertaining and enjoyment. Bell Heights is located just one block off the 19th Street Shopping District, with locally owned shops, art galleries and generous options for restaurants and bars. Both quaint and sophisticated, the Heights is also home to a huge gathering of local thought leaders in the culinary, art retail worlds. The nearby stretch of 19th Street was selected as a Sunday Streets HTX pilot site in 2014, making it one of the most pedestrian-friendly streets in town. Conveniently located, Bell Heights is an easy commute into downtown, has contra-flow access to the energy corridor via I-10 and to North Houston via I-45, and offers backstreets to other shopping and entertainment hubs in various stretches of the Heights and central Houston. Boulevard Realty, located in the center of the neighborhood at 1545 Heights Boulevard, is the exclusive listing firm for Bell Heights and is thrilled to offer this distinct new opportunity for in-town living. 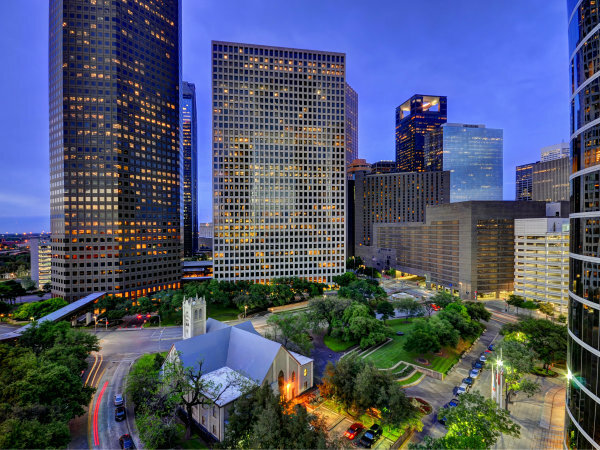 “These are just some of the ways we’re rediscovering Houston, taking a renewed look at the buildings and neighborhoods that already make our city great,” the broker and owner Bill Baldwin says. Bell Heights is one of those destinations that many people don't expect to find in Houston — an urban enclave that respects history and embraces the exciting and unique walkable neighborhood around it? Things may be changing for the better in Houston after all.